Banned Books Week; 24 Septmber - 1 October, 2011. For more information, check out the Banned Books Week and ALA websites. Hello all! Sorry for the mass of video posts this past week. I promise, I will be posting a written review later on! I am just getting the hang of this whole BookTubing thing and I am having a lot of fun. So ANYWAY. Banned Books Week; 24 Septmber - 1 October, 2011. This video is about my opinions on banned books, those I have read, and those that I hope to read in the future. Please show your support! This year, BannedBooksWeek.org is hosting a Virtual Read-out, so why not make your own video, where you read from one of your favourite banned or challenged books? I will be back later this week with my virtual read-out from one of the books mentioned in my video below. Share your thoughts on banned books and Banned Books Week. What do you think? Are you for or against the banning of books? "As a blog reader, what information (besides the book review) do you like to see in other bloggers’ reviews of books? (For example – Author bio, social media links, book synopsis from Amazon/Goodreads or one written by the blogger, page count, ISBN number, link to purchase, etc.)" What about you? What kind of information do you look for in a book review? Well, technically, this is a collective book haul from the last couple of months. But since it is September, I just decided to name it appropriately for the month. I have read all but one book at the moment, and some of which I have reviews posted already. I will be working on reviews for the rest during these next few weeks, where I am FREE (holidays, oh yes). So, I decided that I would start book vlogging. Not only would it let you guys get to know me a little better, but I think it will be a fun way for me to post about different bookish things. I will still post written reviews here, along with some video reviews, book hauls, tags etc. on my youtube channel. I will of course, embed all of those videos here for you guys to see! Anyway, here is just my little hello video, if you are interested in taking a look. I will be back later on with a new book review! See you all later. 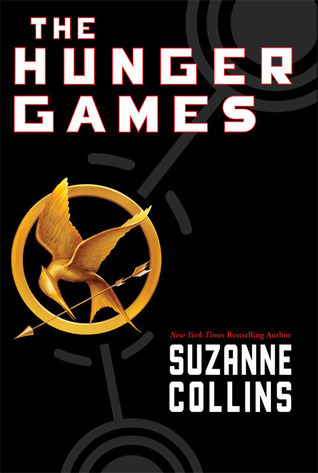 The Hunger Games would have to be my favourite book I have read this year. Amazing. Incredible. Just awesome. I don't know how to express my love for this book - this is probably the hardest review I have done yet. It's almost impossible to find the right words to truly express how I feel about it. When I finished I was in some sort of shock. I just lay there and stared off into space thinking about the book and the characters and what would happen next! I could not put this book down. Collins created a such a dramatic, chaotic world that completely drew me in. The futuristic and post-apocalyptic was intriguing, along with all of the elements created by Collins. The contrast between the lifestyles of different districts, the technological advances, the futuristic fashions and the frightening mutated creatures that the tributes engage with, are only some of the aspects which just captivate you even more. Katniss Everdeen. An incredibly well crafted protagonist. Her strength was immensely valuable to the whole story, and I don't think The Hunger Games would have been as magnificent from the perspective of any other personality or character. Katniss' passion and love for her sister, Prim, is inspirational and truly reflects her inner strength - she goes to the extreme to protect her. Her strength and bravery really shines through when in the arena, and you begin to truly understand the hardships she has had to endure. The supporting characters were effectively and appropriately developed, and the relationships between some of the characters and Katniss are so vivid; you feel as if you really know them. As a result of some of these relationships, there are some really emotional scenes. There is so much loss and pain. In particular, the relationship and romance between Katniss and Peeta (male tribute for their district) makes me all bubbly inside, and my stomach flutters a little. Their relationship is controlled a lot by their situation in the Games, and they are forced to be very affectionate to win over their audience, but I love them nonetheless. The romance was expertly intertwined throughout the novel, adding a layer of softness to the story and it sure made the Games all the more entertaining. My only issue is the cliff hanger at the end. The most annoying ending I have come across yet, because I didn't have the second book and it would take me a while to get it.. The wait was torture! I couldn't stop thinking about Katniss, Peeta, Gale, the arena and what on earth could happen next! This book deserves all of the hype it can possibly get. Truly amazing, terrifying, heart wrenching and full of action. If you have not read this.. you are insane! Go and buy the whole trilogy. You won't regret it. I came across this interesting list over at Death Books and Tea, who in turn found it at The Book Swarm. I have backtracked a little, from the blogs along this chain, and I along with everyone else have no idea where this originated. But anyway, following is a list of the supposed top 100 young adult books! I have highlighted those that I have read, and underlined those that I own but have gotten around to reading yet. I am obviously REALLY far behind on these. Why don't you post this list and share which ones you have read? 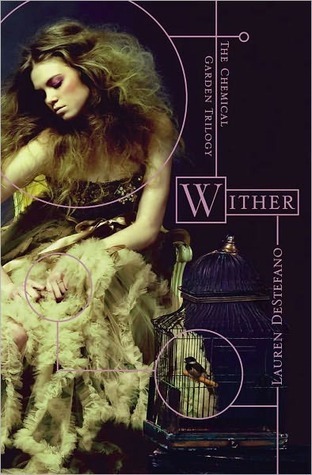 I would highly recommend you ALL go over to the blog of the amazing Lauren DeStefano, author of Wither. She is giving away TWELVE personalised and signed jackets for Fever, the second novel in the 'Chemical Romance' series. And it is open internationally, so seriously guys, go and enter! Onto further Little Book Owl news, I have a bunch of books that I am going to be reviewing, so I will get onto those as soon as possible. Later this week, I will be posting a Hunger Games review, so look out for that!